A retiring National Treasurer of the opposition National Democratic Congress, Alhaji Abdullah Ahmed Abdullah, says he will split his 19 children who have attained voting age among the two biggest political parties in Ghana – NDC, and NPP. He says the move is a wise decision aimed at making his children be in government regardless of the political party in power. “When we advise our children, they take. I’ve seen Abu Jinapor and John Jinapor. This has shown me that their father is very wise. So I will also do the same. I have grown, and the world has changed. We are in a scientific world. I don’t know when I will die, so I am taking this decision now,” he added. Alhaji Abdullah popularly known as PMC in an interview on Ekosii Sen on Asempa FM, says he will allow ten of his children to remain in the NDC and the remaining nine to join the governing New Patriotic Party (NPP). “I have not more than 19 children, but 19 of them have attained voting age. I will divide them into two, give NDC 10 and NPP 9,” he said. When asked if he is taking such a decision because he is disgruntled about the NDC, Alhaji Abdullah said that is not the case, but he is only being strategic citing the Jinapor family as a reference. He said he joined NDC because of former President Jerry Rawlings but is putting efforts in place to even push some of the children to other political parties including the Progressive People’s Party (PPP). “We are helping our country. So if Paa Kwesi Nduom [of the PPP] comes and his party is strong, I will even assign some of my children there. I have not regretted joining NDC. I joined the NDC because I liked Rawlings. And he is not going to contest again, and I can’t be following people around. So my children have to continue from where I’ve left off. I’m going on a political retirement; I won’t do politics again,” he added. Alhaji Abdullah in the interview also descended on NDC General Secretary, Johnson Asiedu Nketia whom he described as being a dictator. According to him, Asiedu Nketia is destroying the NDC with some of his actions. He said Asiedu Nketia does not also heed to advice, adding that the party’s National Chairman, Kofi Portuphy, is even unable to control him and his cohorts. 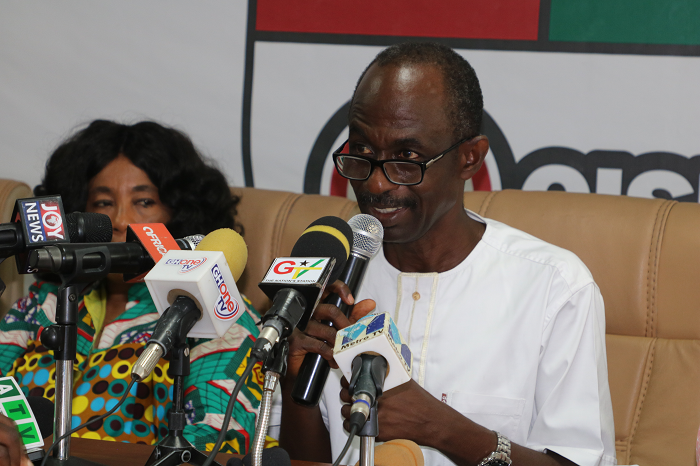 NDC General Secretary, Johnson Asiedu Nketia. “There has never been an issue raised by Chairman Portuphy or myself at our meetings that Asiedu Nketia has approved before. When I make suggestions, they throw it away saying it is illegal. Chairman Portuphy is unable to control him. Asiedu Nketia is a dictator. He has a bad attitude. He does not listen to advice. He likes insulting people. When you say something, and it goes against them, they push the young guys to insult you,” the NDC National Treasurer added.